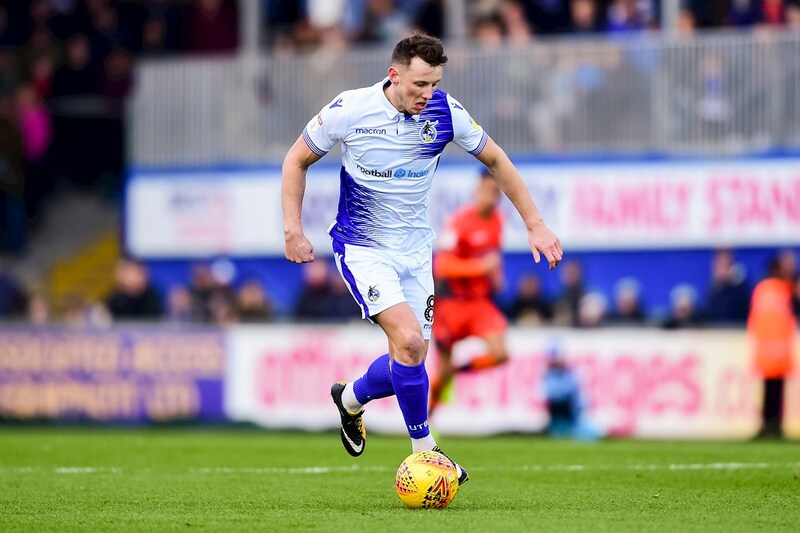 The first goal Rovers have conceded since Boxing Day condemned to defeat against Wycombe Wanderers, and ended the Gas’ six-match unbeaten run. Sido Jombati scored a close-range header for the visitors on 57 minutes to clinch three points for the visitors on cold, scrappy afternoon. One change to the Rovers starting line-up saw Stefan Payne given a starting slot, with Liam Sercombe absent, and Kyle Bennett taking the spare slot on the bench. Speaking of benches, Wycombe’s might have been a contender for most experienced bench of all time. Adebayo Akinfenwa, Craig Mackail-Smith, Nathan Tyson, Marcus Bean and Matt Bloomfield certainly have an appearance or two in their locker. Wycombe won a free-kick inside the first 10 seconds of the game, which they floated to an unmarked Adam El-Abd, who headed not far wide. However, the whistle had already gone for a push seen by referee Ben Toner. A couple of minutes later Rovers won a free-kick of their own in an even more dangerous position, but Tareiq Holmes-Dennis struck it into the defensive wall. On seven minutes, Curtis Thompson tried his luck from 20 yards, and Jack Bonham could not hold the shot. Fortunately for the goalkeeper, his skipper Tom Lockyer was on hand to sweep up. Payne went into the book on 21 minutes for the type of tackle that you judge differently based on a) which of the sides you favour, and b) when you were born. More old-school fans, or those supporting the home side, likely felt Payne’s tackle was perfectly fine. Those brought up since tackling was homogenised, or favoured the visitors – and for that matter the referee – thought it was reckless enough that it warranted a caution. Alex Rodman’s curling shot, tipped round by Ryan Allsop, was a rare highlight in a rather staccato first half, in which Wycombe were probably more suited by the stop-start affair, not letting Rovers get into any rhythm. 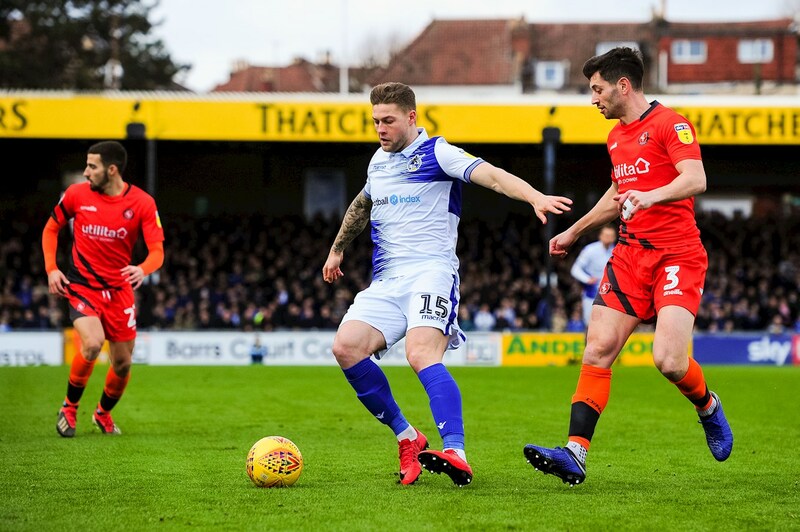 As the board was raised on 45 minutes, Wycombe could not clear a Rovers free-kick, and eventually the persistence of the Gas saw the ball fall to Ed Upson, on the edge of the area. His shot was deflected wide thanks to a terrific block by El-Abd. Wycombe smelled a half-chance during stoppage time as Tony Craig played a backpass to Bonham as the goalie was being pressed by two Wanderers players. However, one of them clipped and brought down Bonham, and the danger thankfully evaporated at the blow of a whistle. Rovers again won a free-kick close to the edge of the box after the interval, but the difference this time was it was Rodman who hit the wall. Just before the hour mark Wycombe opened the scoring when former Pirate Joe Jacobson swung in a dangerous corner for Jombati to rise highest inside the six-yard box and nod home. Graham Coughlan’s reaction was a triple substitution, introducing the fresh legs of Gavin Reilly, Chris Lines and Sam Matthews for Payne, Upson and Holmes-Dennis. Nick Freeman was a shade lucky to only receive a caution when striking James Clarke with a leading arm, and then pulled down the same player when he overlapped. Very much still on the park, Freeman was the recipient of a pass from Samuel, whose determined work set up a dangerous looking break for Wycombe. First Kelly, then Craig, then finally, twice, Lockyer did a fine job of putting their body on the line to block efforts from the visitors to get a second. Coughlan inverted his wingers, bringing Matthews to the right, and it nearly paid immediate dividends. Matthews cut inside, allowing James Clarke to overlap, then slide into the path of Jakubiak. It took a very good block to stop the cutback falling to one of two free Rovers players. Shortly afterwards, Rodman’s cute near post header from a Lines corner almost crept in, and he blazed his follow-up over from a tight angle. Cowan-Hall should have sealed the game as 90 minutes elapsed, but missed his kick in front of goal. In the injury time, Rovers worked a corner to the far post, where it was met by Ollie Clarke, but he could not repeat his namesake James’s late heroics against Fleetwood, and it Wanderers heading back up the M4 with all three points. Rovers XI: Jack Bonham (GK); James Clarke, Tom Lockyer (capt), Tony Craig, Michael Kelly; Alex Rodman, Ollie Clarke, Ed Upson (Chris Lines 60), Tareiq Holmes-Dennis (Sam Matthews 61); Stefan Payne (Gavin Reilly 60), Alex Jakubiak. Unused Subs: Adam Smith (GK), Tom Nichols, Joe Partington, Kyle Bennett. Booked: Payne 21, O Clarke 76, Rodman 90. Unused Subs: Cameron Yates (GK), Anthony Stewart, Marcus Bean, Craig Mackail-Smith. Booked: Thompson 50, Freeman 63.